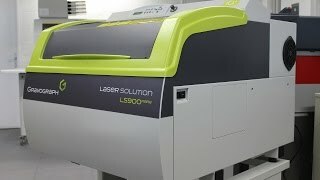 The LS100Ex Fibre and LS900 Fibre, laser engraving solutions for metal and large surfaces. The LS100Ex Fibre and LS900 Fibre machines are perfect solutions for engraving on metal parts without the need for application of a surface additive. Precision and contrast are thus guaranteed on all your work pieces. Optional accessories are available which further extend the capacities of the LS100 Fibre and the LS900 Fibre. A range of low power exhaust systems maintain a clean working environment. 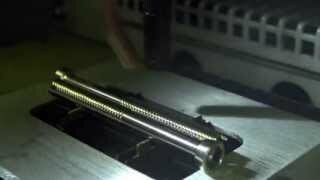 The fibre laser range is totally safe and operates in a standard environment (locked glass door). The machines are CDHR Class I certified.